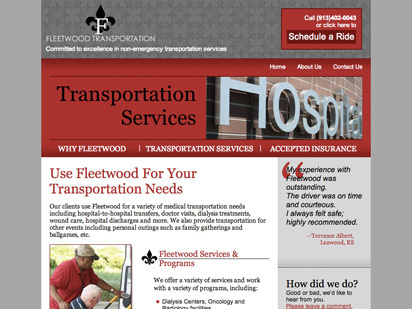 Design Objectives: The website’s primary goal is to provide a quick and easy way for clients to schedule medical transportation with the company and to communicate the company’s professionalism. Working closely with the client, I managed this project from initial meetings, through ideation and implementation. 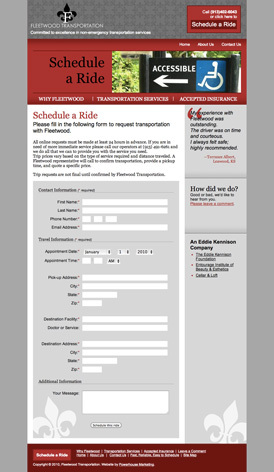 A robust and easy to use scheduling page was created to help clients book their service. 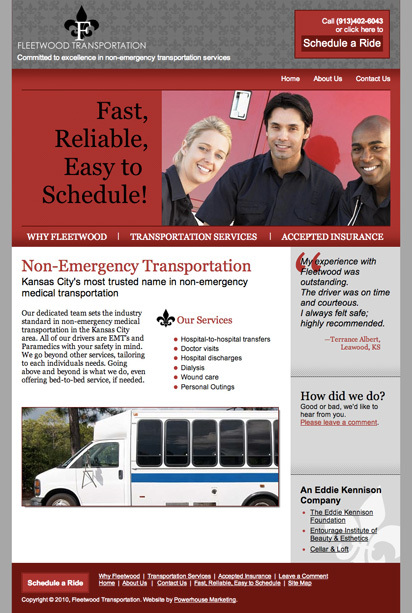 The design and layout is intended to be easy for medical care staff to schedule and for their clients to get to know the company who will be driving for them.